The new garden bed is ready! I’ve been working on a new garden bed, and it’s finally ready to plant! 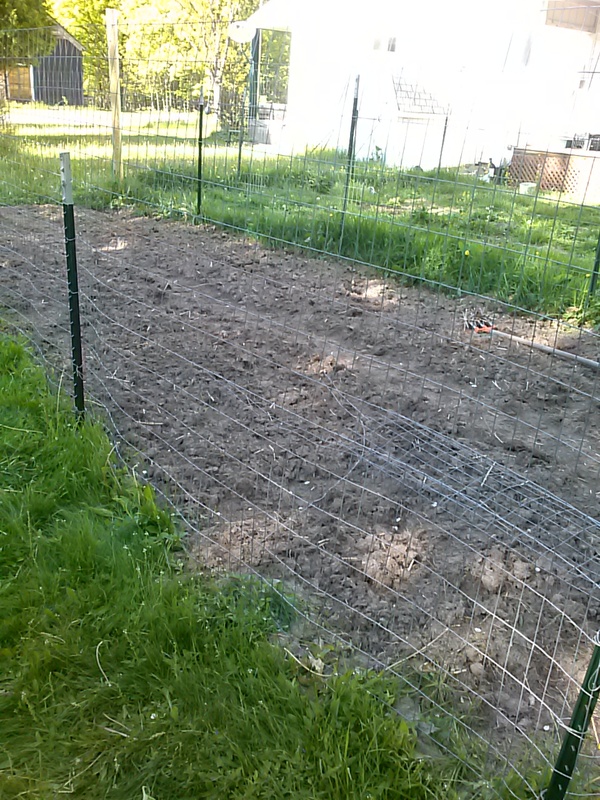 I killed most of the grass using tarps and cardboard, and was going to hand-till it all up, but it’s quite large. I started to do a little work on it one night and was very daunted by the work involved. The grass had been very lush in that area – Killing the grass did not kill the roots, so the soil was very hard to dig into even with the grass gone. A diagonal view of the new bed. I have been scrambling to get this bed ready for this weekend, because that was my goal for getting plants in. Our last frost date depends on who you talk to – some say May 15th, some say June 15th. Last year I had stuff in by the end of May and it was ok – you just have to watch the forecast for frost. We had frost warnings last night (I think some places got some frost) and we have frost warnings for the next two nights; I’m going to have to wait to put things into that bed. 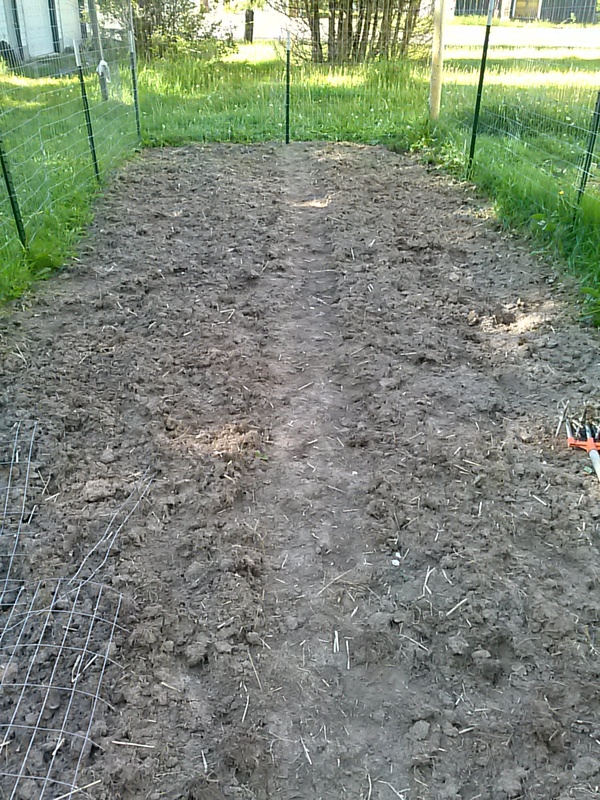 I do have some things already planted in a different bed, so I’ve been doing the “cover-up” scramble each night: covering up those plants at night, and then uncovering them each day once the sun is warming everything up. I need to check the weather and then hopefully I’ll start filling this bed up in the next week or so. I have some plants hardening off outside. I put them inside a cage we have out there, which is easy to cover in case of frost. 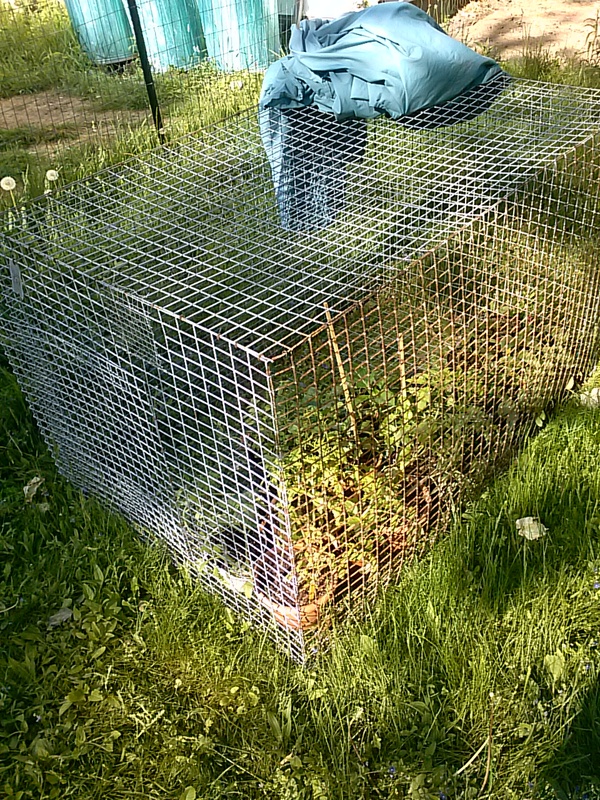 The cage also protects the plants from hungry animals. It’s been easier to block sunshine or rain, to get the plants used to being out there without them getting too much sun or water before they are acclimated. I put the plants out to harden off last week, figuring I’d have to block sunshine somewhat, and then we got several days of rain instead. My plants hardening off in a cage. I’m looking forward to being able to get everything in the new garden – I just hope our weather decides to cooperate soon. Previous Article Doing what needs to be done.